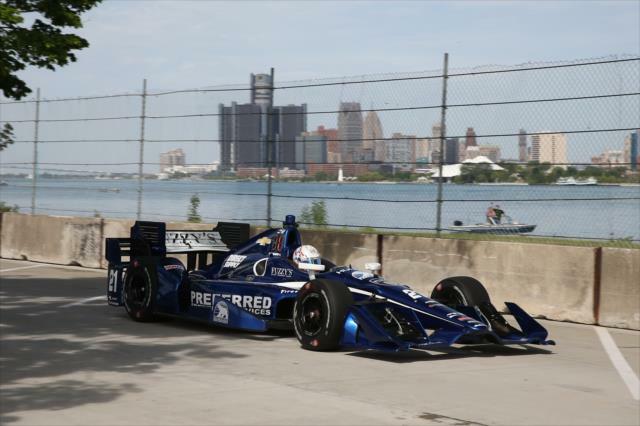 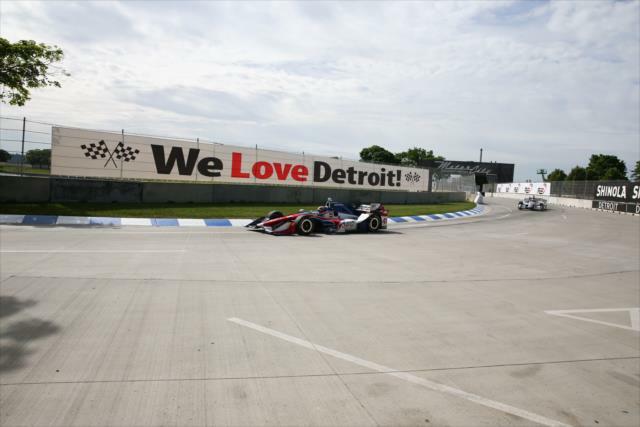 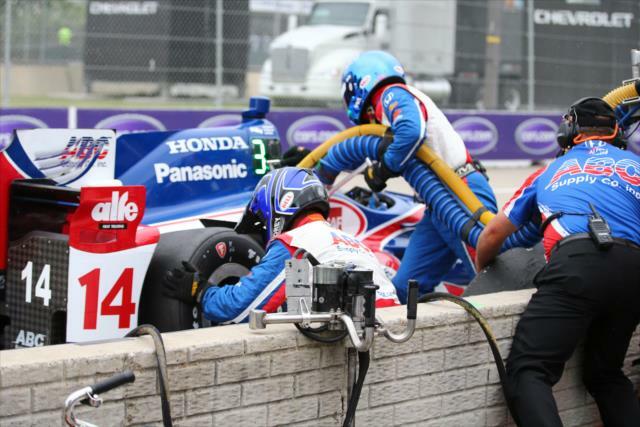 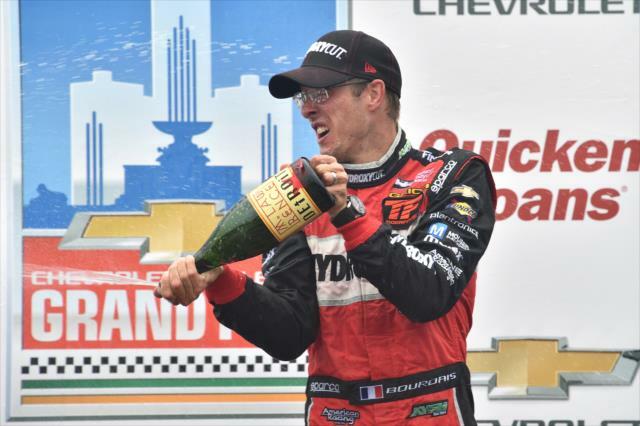 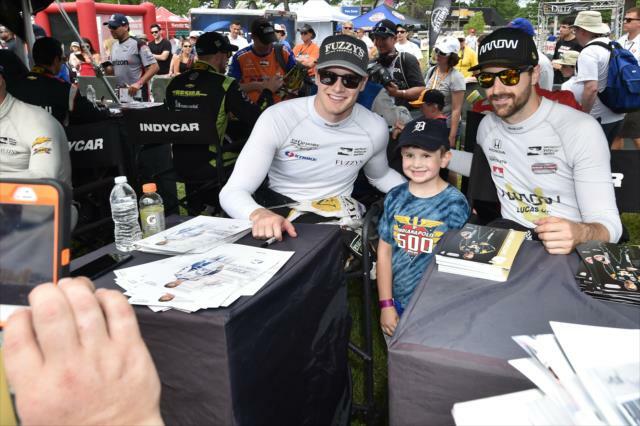 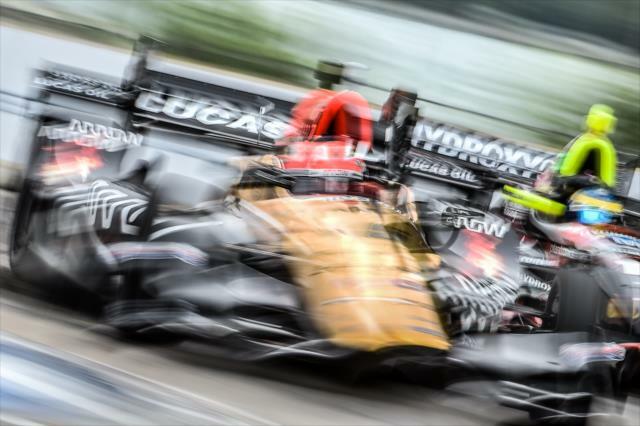 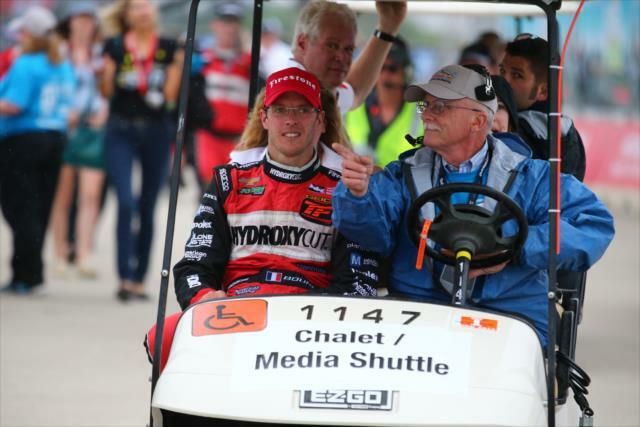 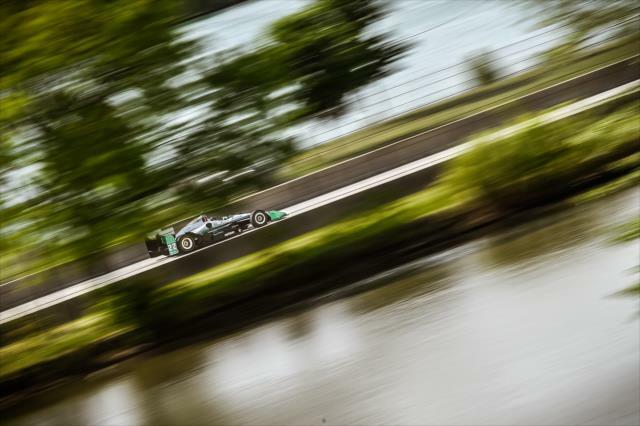 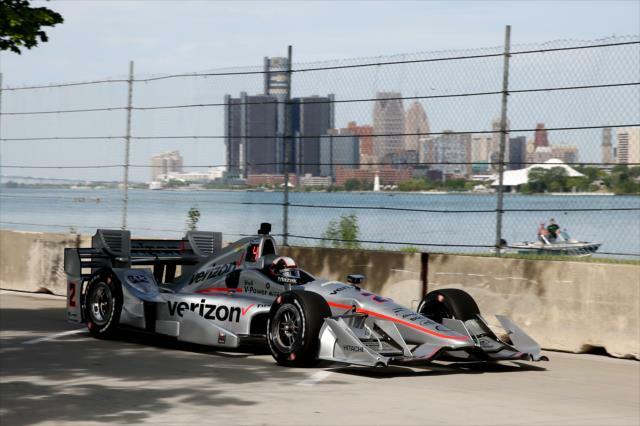 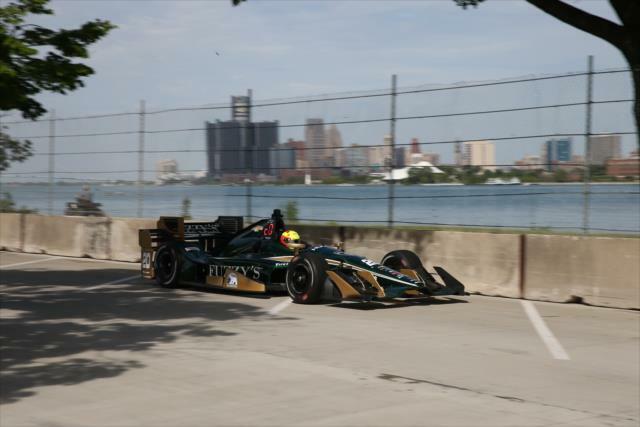 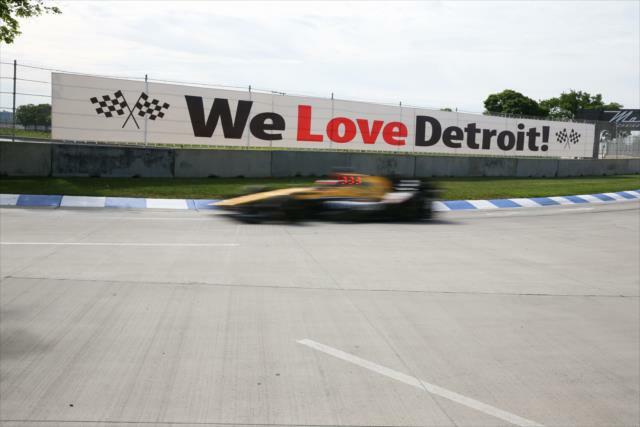 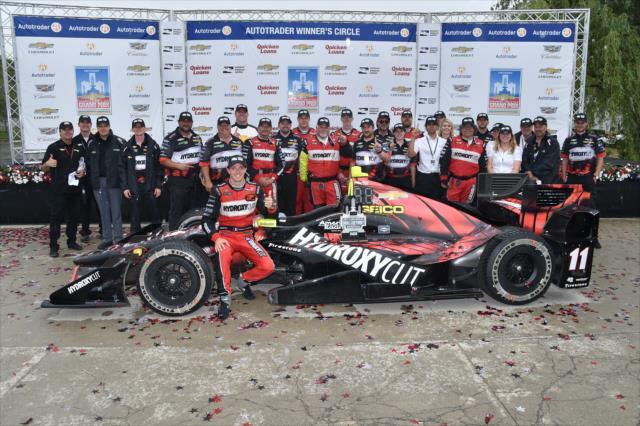 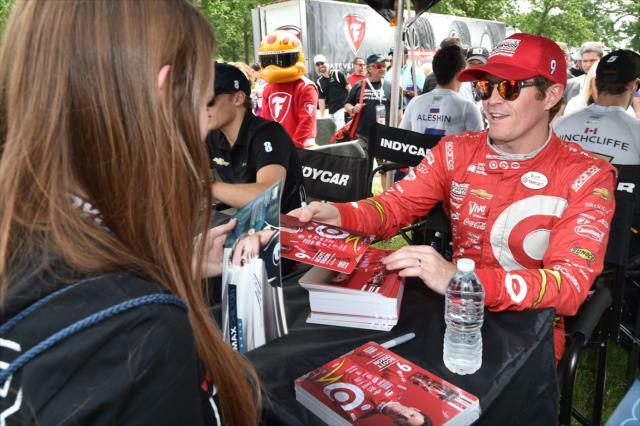 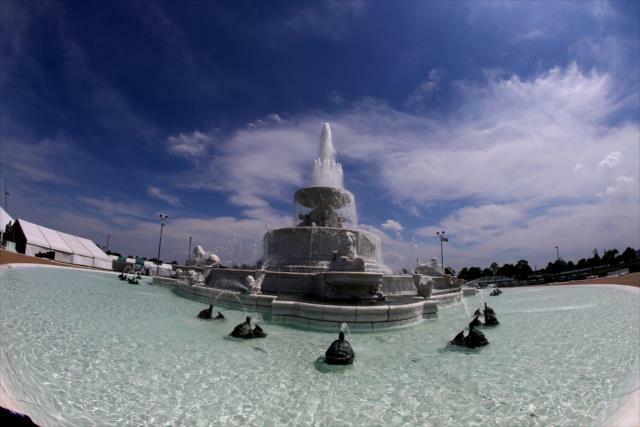 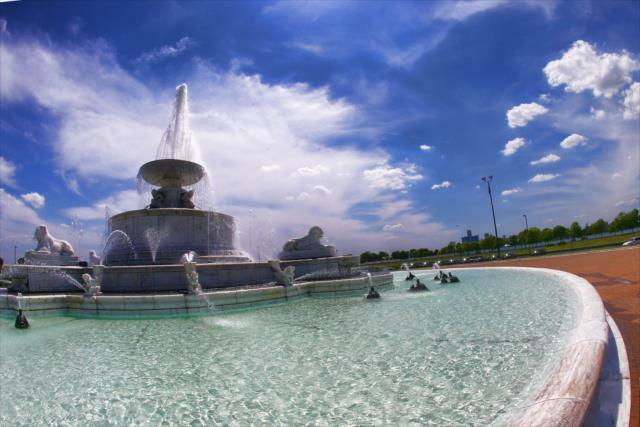 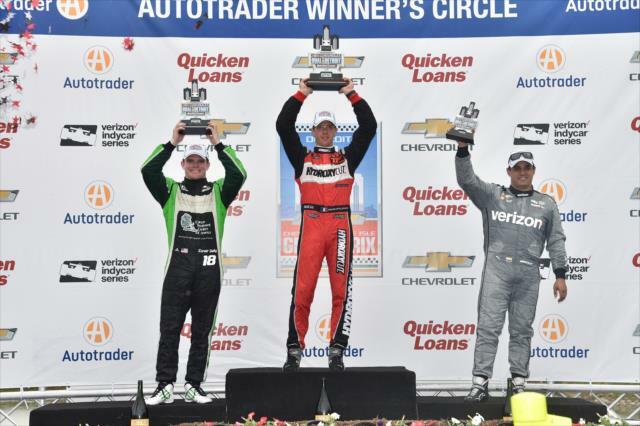 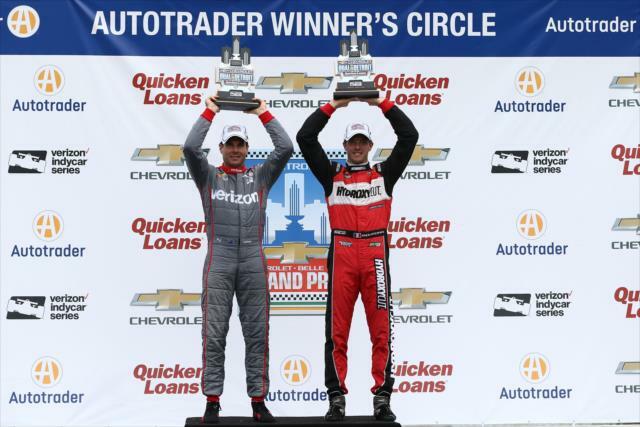 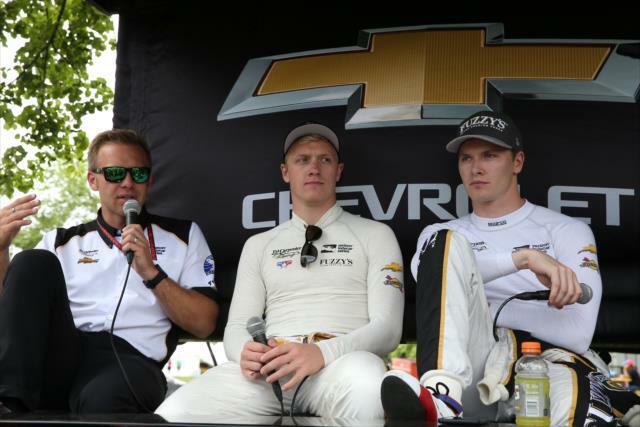 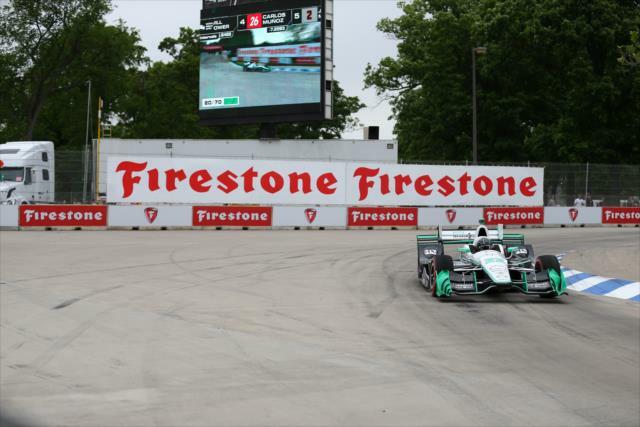 DETROIT – When asked how he won his second consecutive race at the Raceway at Belle Isle Park, Sebastien Bourdais struggled to find a spot-on answer. 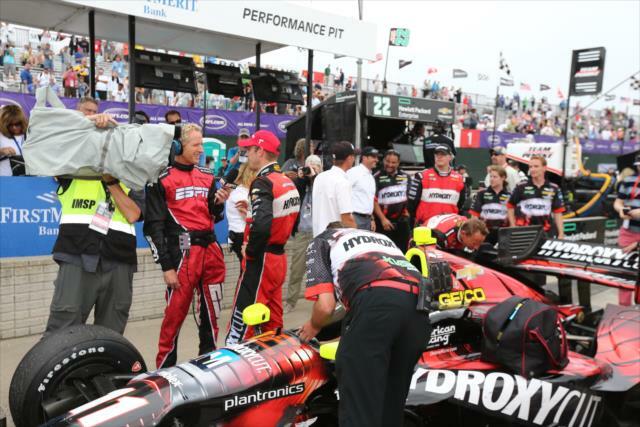 After starting 13th, Bourdais used an alternate strategy to most of the field to climb up the standings. 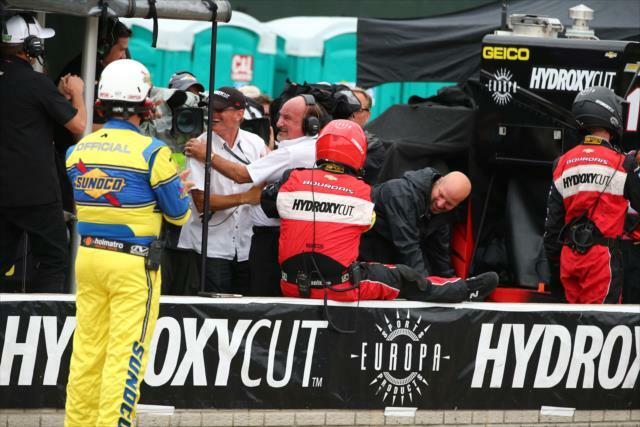 He was one of several drivers to pit in the first few laps of the race, but was one of just two to pit again on Lap 13, during a caution caused when Max Chilton’s No. 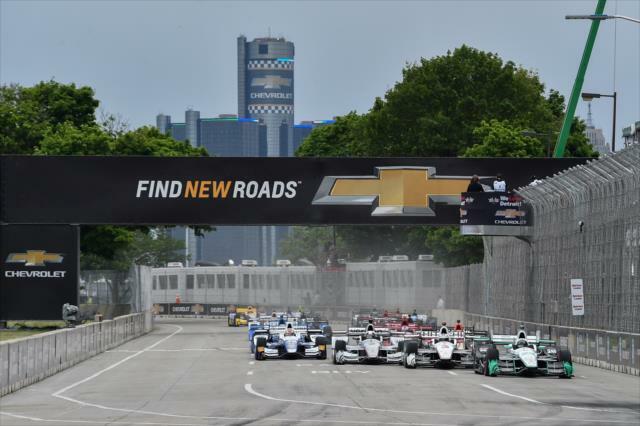 8 Gallagher Chevrolet made contact with the wall at Turn 7 on the 2.35-mile Belle Isle temporary street course. 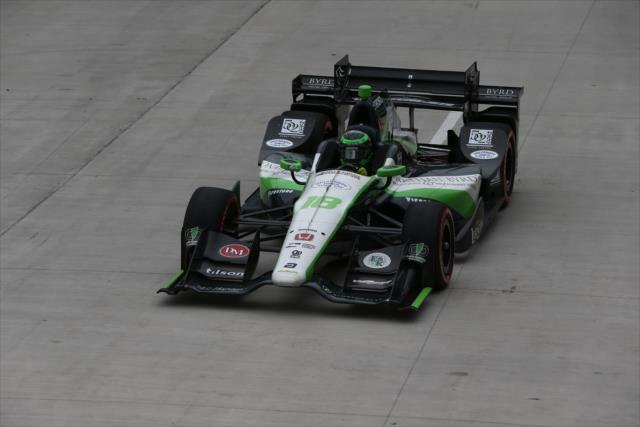 Bourdais was 19th following his second stop, but found himself fourth on a Lap 46 restart after many of the leaders pitted. 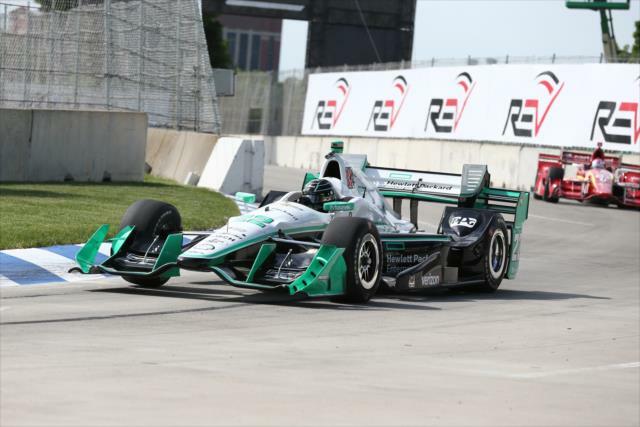 Those same leaders, including pole sitter Simon Pagenaud (No. 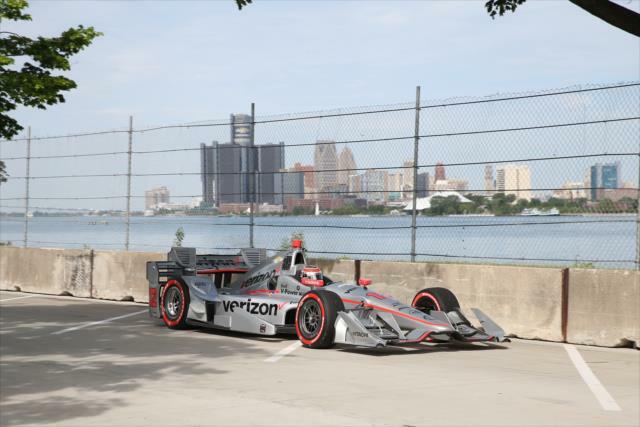 22 Hewlett Packard Enterprise Team Penske Chevrolet) and three-time Belle Isle winner Helio Castroneves (No. 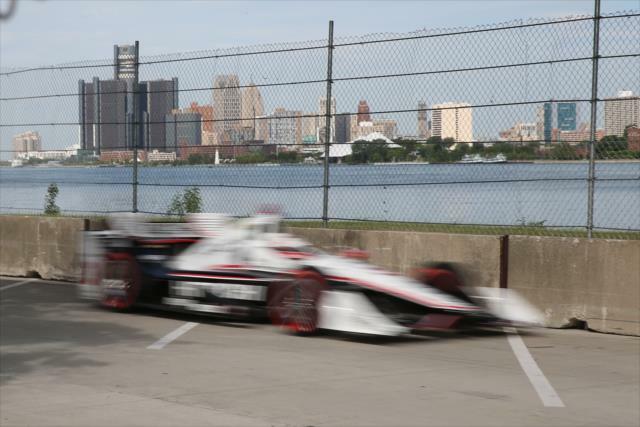 3 Hitachi Team Penske Chevrolet), still had to make their fuel tanks last 27 laps to make the finish, which meant many of the 18 cars that reached the checkered flag ran their last stint conserving fuel. 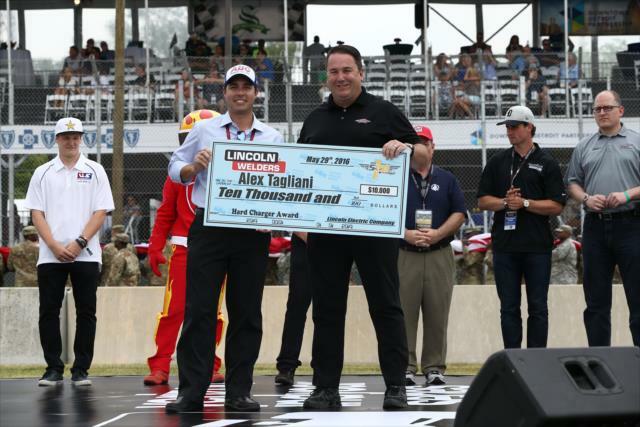 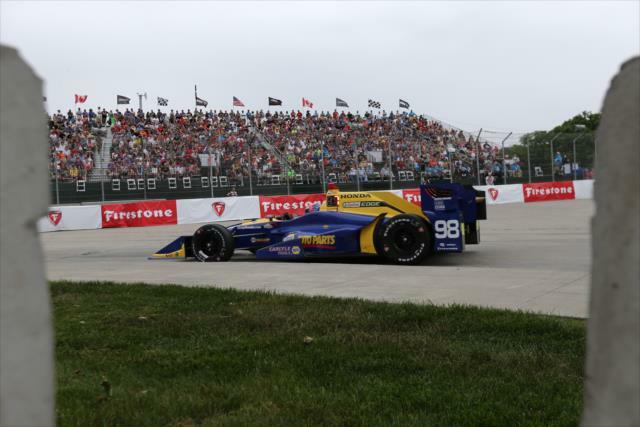 But unlike last week’s Indianapolis 500, which saw Alexander Rossi use fuel conservation to win the 100th running of “The Greatest Spectacle in Racing,” today’s race benefited those who ran hard to the end. 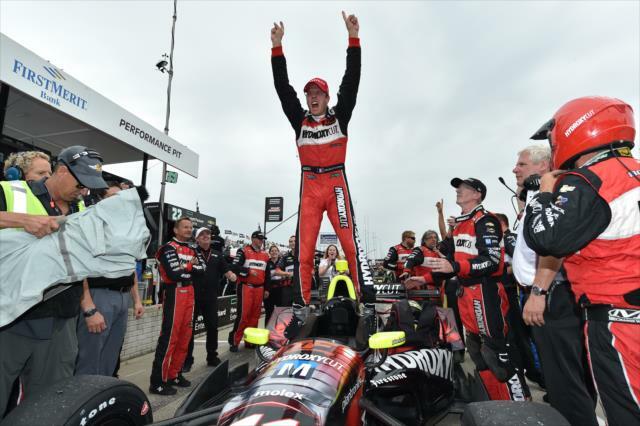 Bourdais rotated to the lead on pit cycles at Lap 55 and pitted on Lap 56, but had built enough of a gap to Castroneves that he came out ahead of the Brazilian and pedaled off to his 35th career Indy car victory, tying him with Bobby Unser for sixth on the all-time win list. 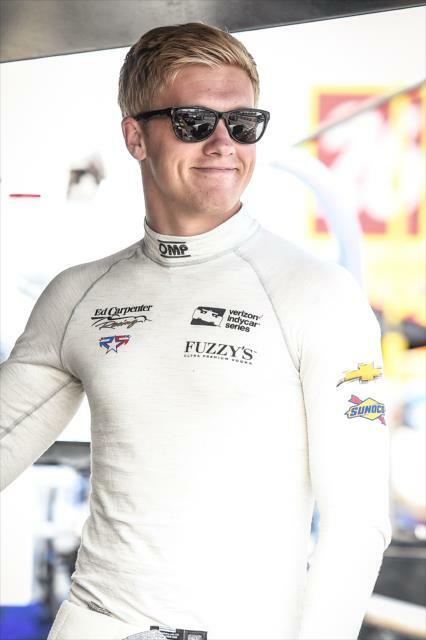 Conor Daly (No. 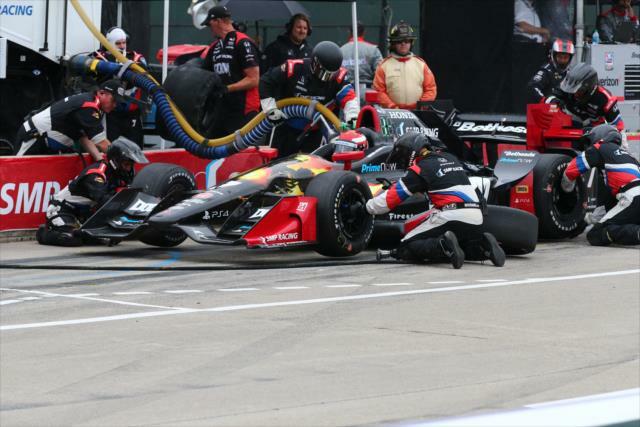 18 Jonathan Byrd’s Hospitality Honda) followed an identical strategy to Bourdais, pitting on Lap 13, and rose through the field just behind the Frenchman through the race. 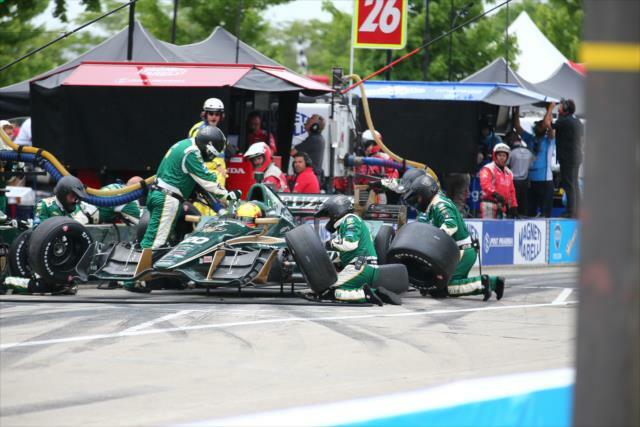 The Noblesville, Indiana, native led four laps when Bourdais pitted on Lap 56, stopping for the final time himself on Lap 61. 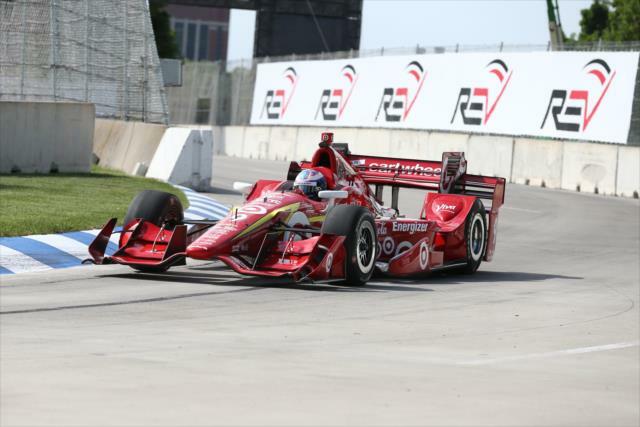 Daly slotted in behind Bourdais and finished runner-up, 2.0401 seconds behind Bourdais, marking his first podium finish in Verizon IndyCar Series competition. 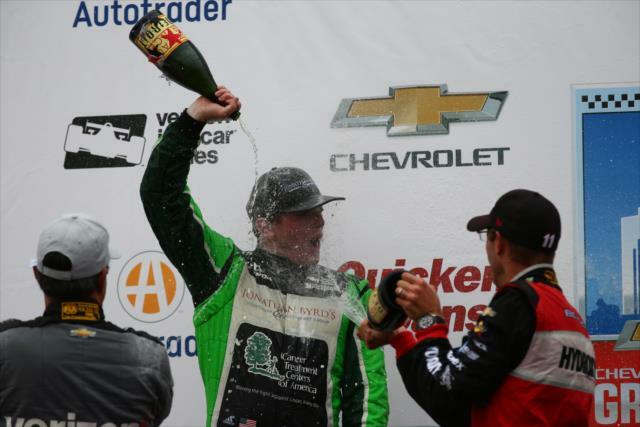 At the same track where he led his first career laps last year while driving for Schmidt Peterson Motorsports, Daly ran as high as first and as low as 19th over the course of the 70-lap event. 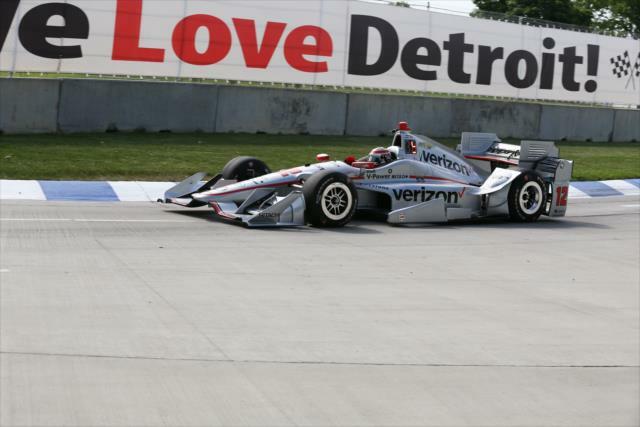 Finishing third was Juan Pablo Montoya, claiming his first podium since winning the Firestone Grand Prix of St. Petersburg in March. 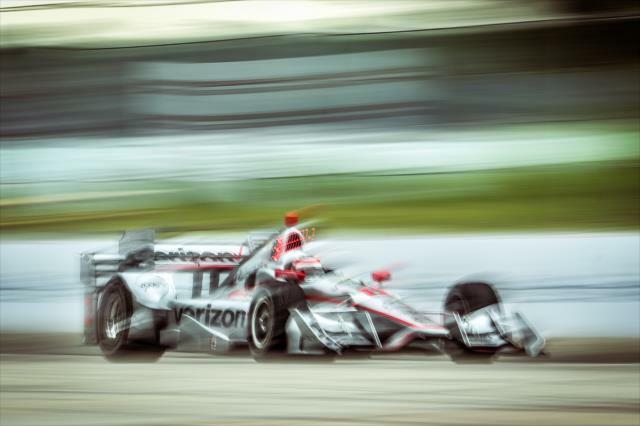 The Colombian led 13 laps on a day where Team Penske dominated the first half of the race but struggled at the end. 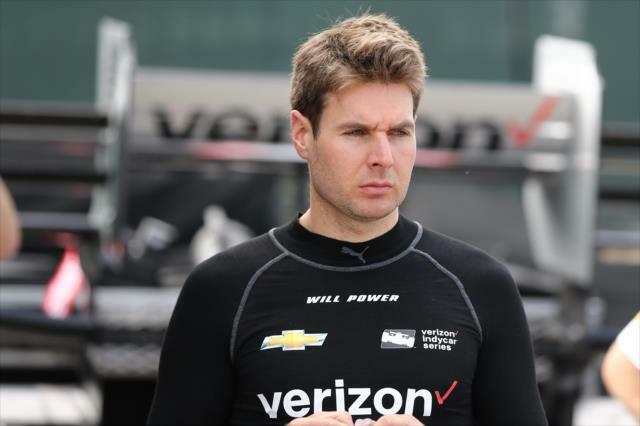 Will Power (No. 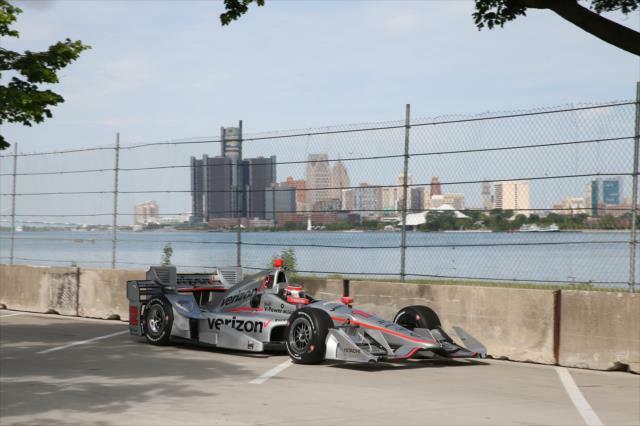 12 Verizon Team Penske Chevrolet) was taken off track due to a loose wheel on Lap 43 and Pagenaud ran out of fuel on the final lap, finishing 13th after leading a race-high 35 laps. 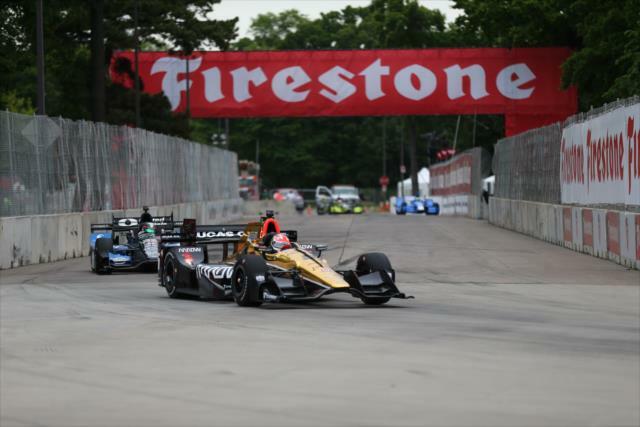 One other story of the day was that the black-sidewall Firestone tires provided better grip than the alternate red-sidewall Firestones, which are softer and typically make for faster lap times. 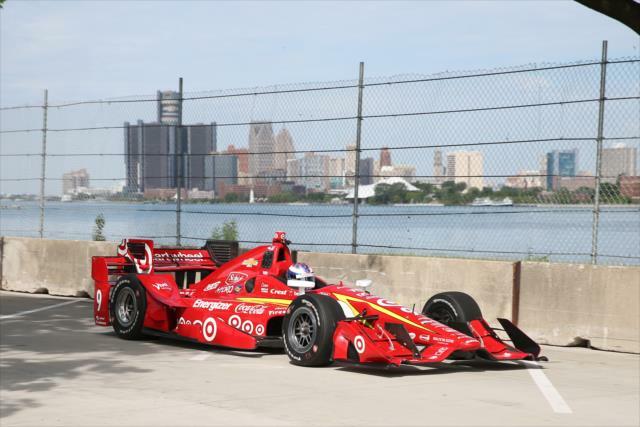 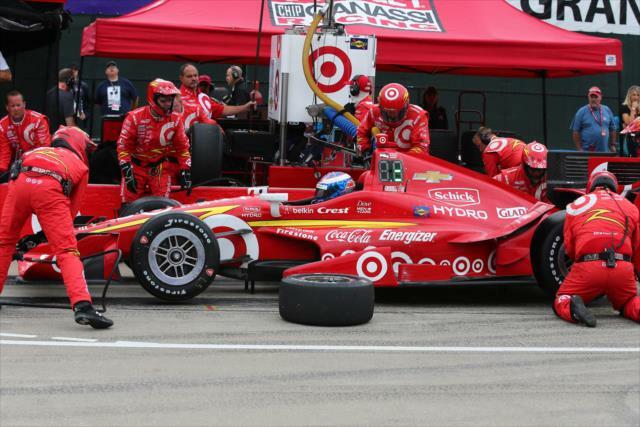 Scott Dixon set the track record on Lap 30 by recording a lap of 1 minute, 14.6675 seconds. 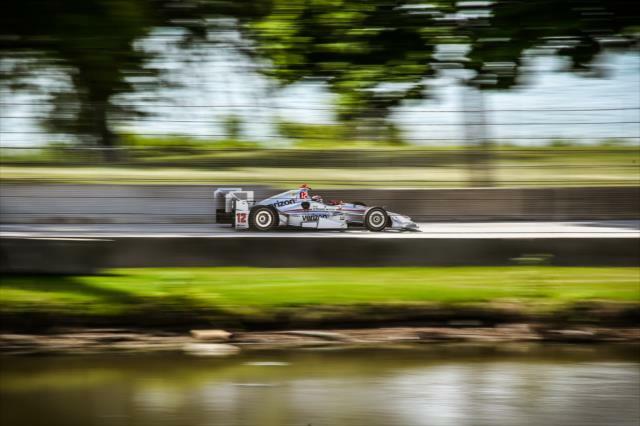 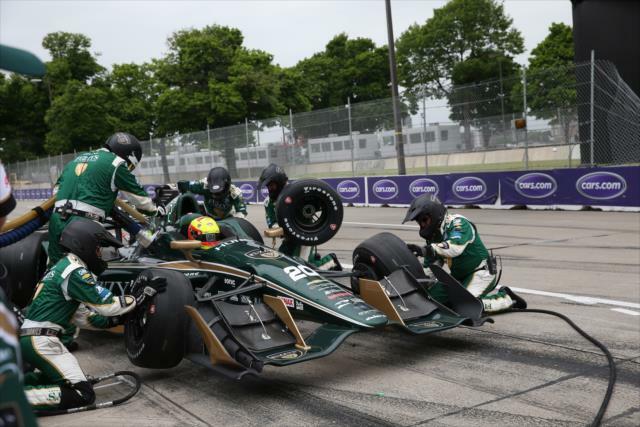 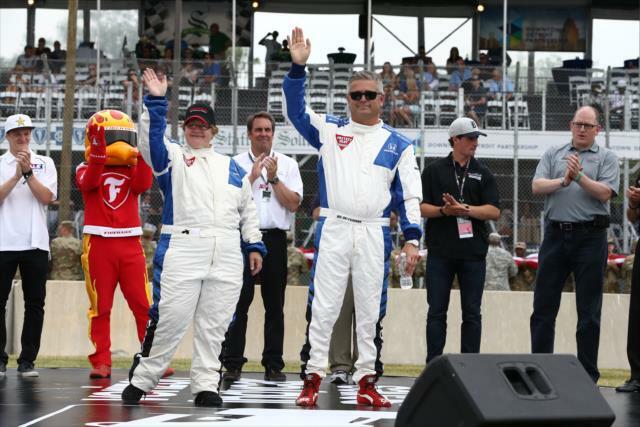 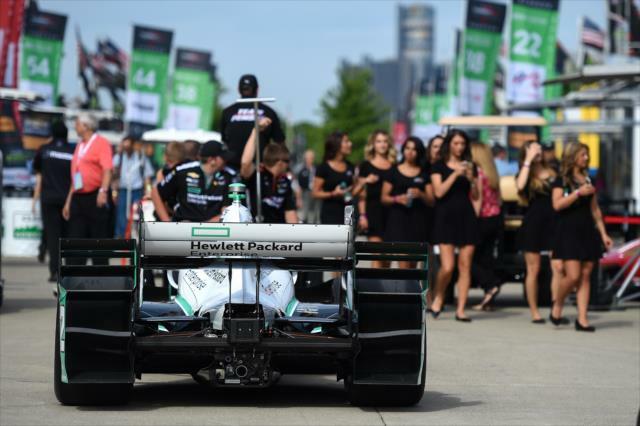 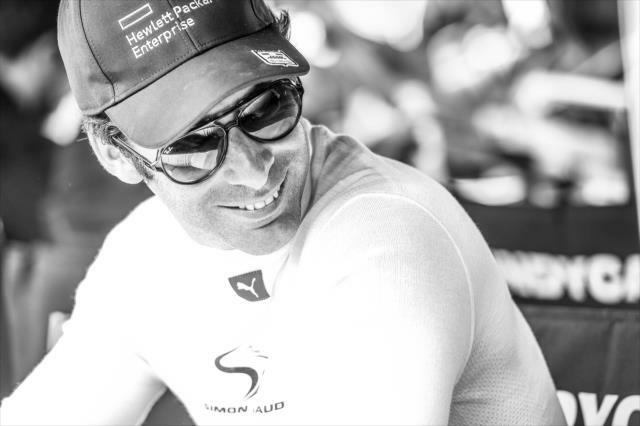 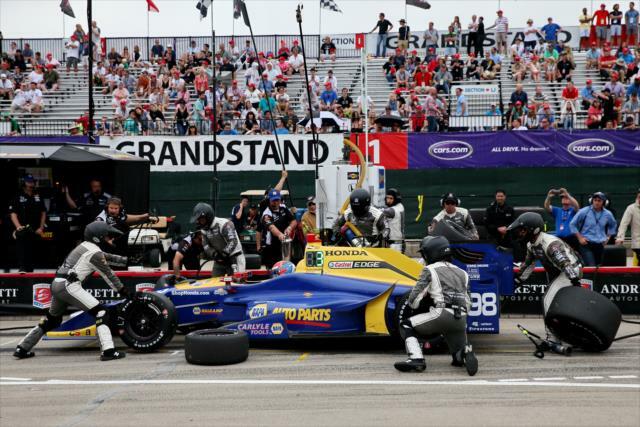 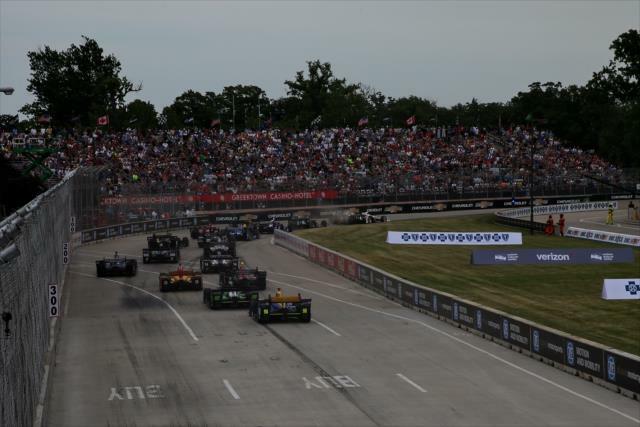 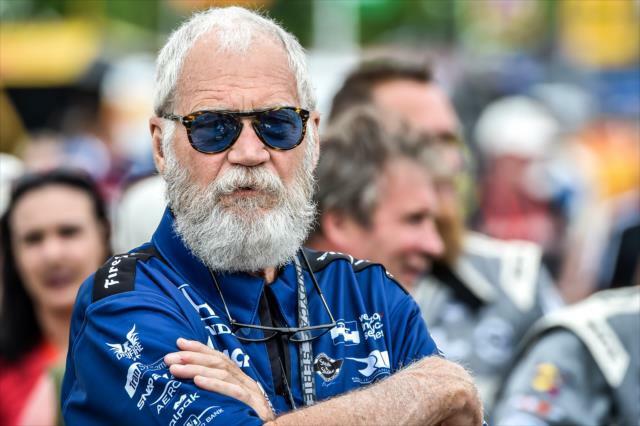 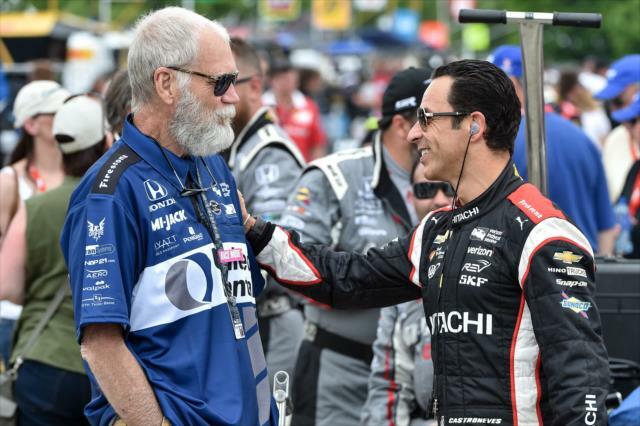 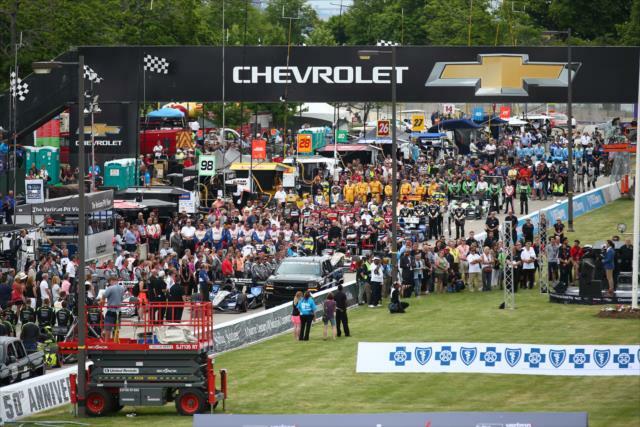 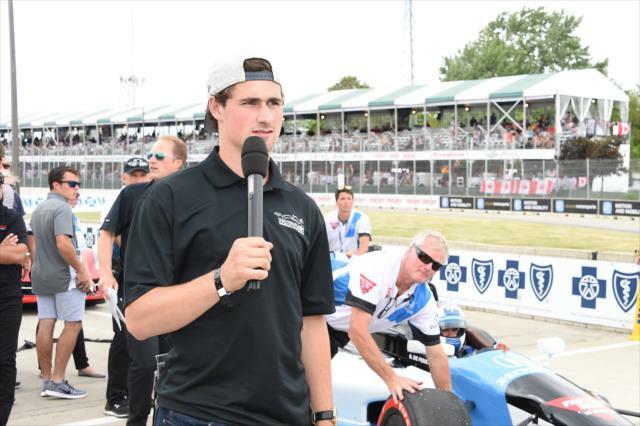 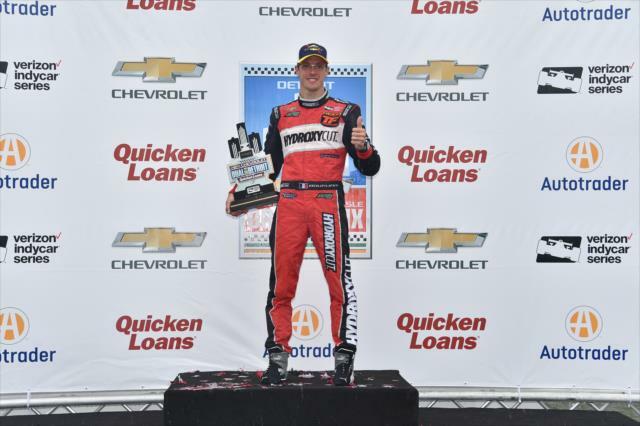 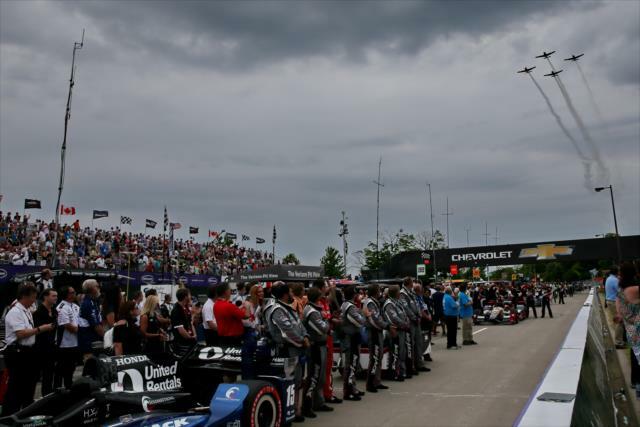 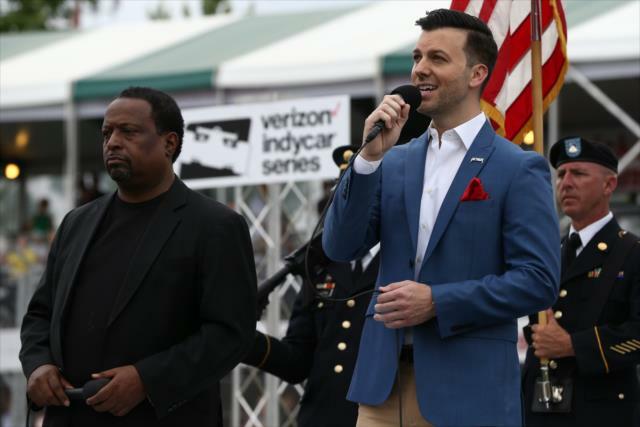 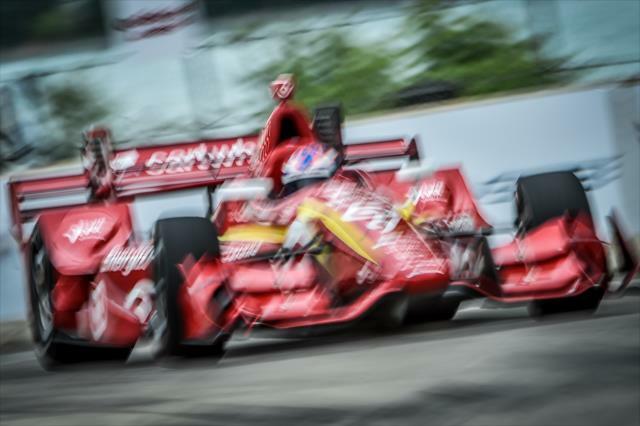 Sunday presents another action-packed day for the Verizon IndyCar Series, with Race 2 of the Chevrolet Dual in Detroit presented by Quicken Loans. 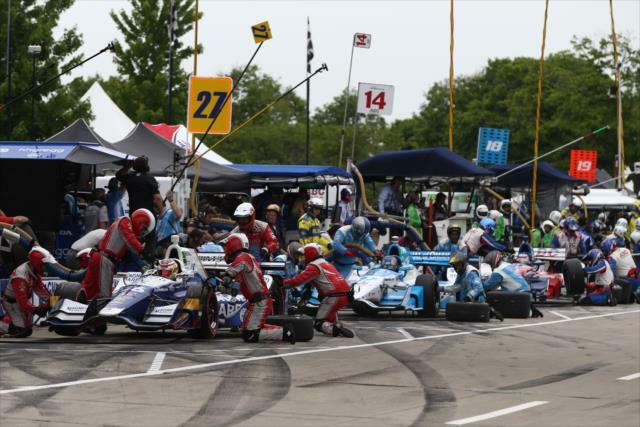 Qualifying for Race 2 begins at 10:45 a.m. 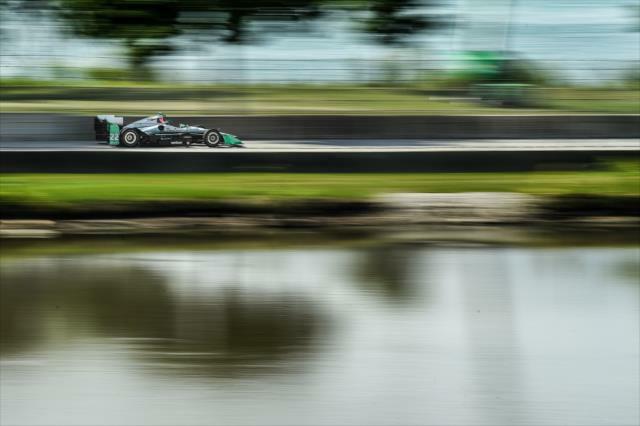 ET (RaceControl.IndyCar.com). 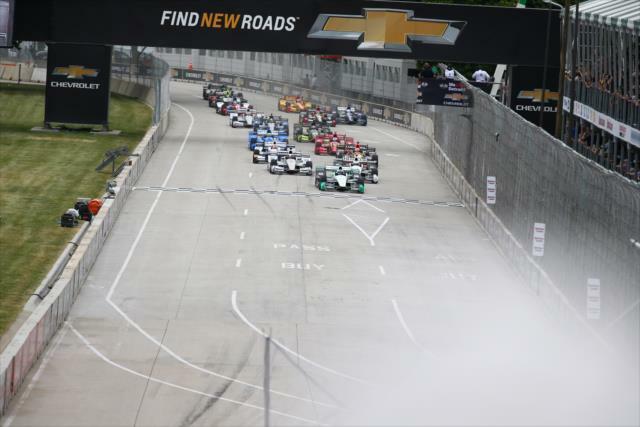 Coverage for Race 2 begins 3:30 p.m. on ABC and 3 p.m. on the Advance Auto Parts INDYCAR Radio Network.